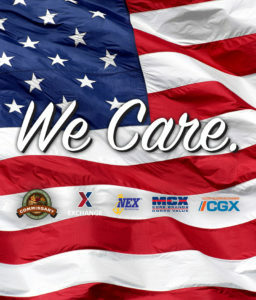 GRAFENWOEHR, Germany — The Grafenwoehr Exchange is partnering with commissaries to host a family-themed “We Care” event in support of the National Day of Deployment at the Rose Barracks PXtra on Oct. 27. The Rose Barracks PXtra invites children of deployed service members to create special care packages with personalized crafts and items for their deployed loved ones from 10 a.m. to 2 p.m. at the front entrance to the store. The Exchange will supply a $10 commissary gift card, which shoppers can use to buy approved items, plus a $20 Exchange gift card to go in the care package. Children will also be provided with a “Flat Stanley” to color and personalize, as well as a We Care Letter and Exchange gift envelope featuring the participating military retailers. Once a box is packed for shipping, a Rose Barracks Exchange team member will seal it to ensure the safety of items being shipped to deployed locations. All shipping supplies, including boxes, tape and bubble wrap, will be provided by the Exchange. The Rose Barracks PXtra is one of 20 Army & Air Force Exchange Service locations participating in the event alongside select Navy Exchange Service Command, Marine Corps Exchange and Coast Guard Exchange locations. Shoppers can contact the Rose Barracks PXtra at 09662-411810 for more information.